There are many different types of essential oils for hair issues. Use cedarwood essential oil for dry or oily scalps. It helps stimulate the hair follicles and the scalp. Cedarwood essential oil treats dandruff and hair loss and has astringent and antiseptic properties. Clary sage essential oil is meant for all hair types and can treat dandruff. Lavender essential oil treats the scalp for dandruff and itchiness and helps balance natural oils in the scalp. It also soothes the scalp and calms the hair. Lavender essential oil also promotes hair growth. Lemon essential oil and other citrus essential oils treats dry scalps and dandruff. It aids in balancing the production of natural scalp oils. Lemon essential oil adds natural shine to the hair and stimulates the scalp. 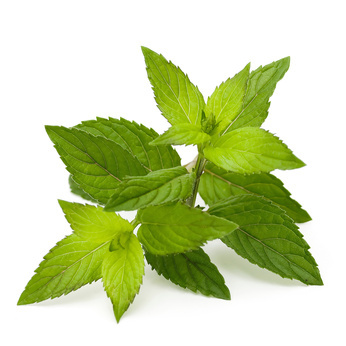 Peppermint essential oil is for dry hair, promoting hair growth and stimulating circulation. This is good for itchy scalp and dandruff treatment. Rosemary essential oil toughens the hair follicles and treats dandruff. It promotes the growth of hair and conditions the hair. Did you know you can make your own essential oils hair conditioner? If you have an oily scalp, combine six drops of peppermint essential oil, four drops of lemon essential oil, and two drops of lavender essential oil. Apply a teaspoon diluted using carrier oil of 20 to 80 to your scalp. Massage well for two to three minutes. Make this stay on your scalp for sixty to ninety minutes. Rinse this out. An alternative is to mix two to four drops of the essential oils with a teaspoon or two of your no fragrance shampoo. If you want to make conditioner to prevent hair loss, you would need six drops of peppermint essential oil, four drops of lemon essential oil, and two drops of lavender essential oil. Just follow the steps described above. You can be chemical free when you use essential oils for natural hair. Just try this natural recipe that can help hair growth. You would need water or a carrier oil, an emulsifier, and of course, essential oils. The blend would need three eighths cup of filtered water or jojoba oil, six drops of rosemary essential oil, and six drops of peppermint essential oil. If you want to make an oil blend, place the oil in a tiny glass container. Then put in the essential oils. Lastly, place the mixture on your fingertips and massage this to your scalp. If you want a water blend, put a teaspoon of emulsifier such as gelatin, collagen, bentonite clay, or diatomaceous earth in a tiny glass container. Then place the essential oils. Then blend them together and place the filtered water. After, blend the emulsified mixture to the filtered water. Place a little of the mixture on your fingers and massage to your scalp. If you will be washing your hair the next day, choose the oil blend. Essential oils are typically better with a carrier oil since they do not blend with water. However, you will get a greasy scalp if you do not wash your hair the following day. Use the water blend if you won’t be washing your hair.